Move-in ready 2 bedroom, 2 bath condo in Waters Edge II village at Eagle Pointe Resort on Lake Monroe. 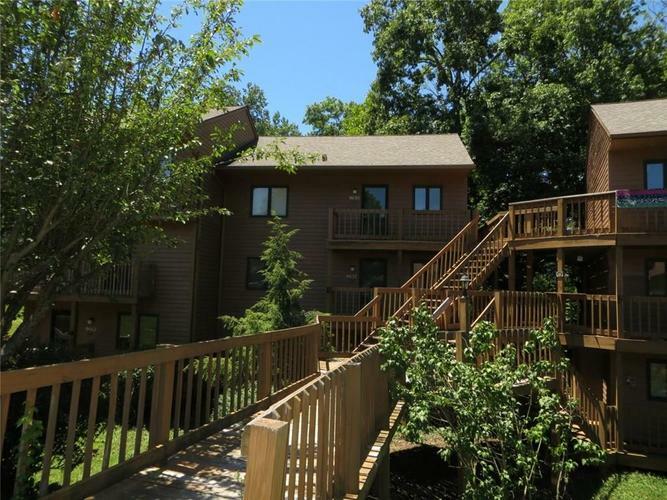 Perfect for a full time residence or lake getaway, this middle level unit has easy access from the parking area and a nice view of the woods off the spacious back deck, plus a partial seasonal view of the lake. Inside enjoy the open ranch floorplan with nice updates and neutral colors through out. Kitchen/breakfast bar is open to the living area, great for gatherings and entertaining. Fully furnished and all appliances included.